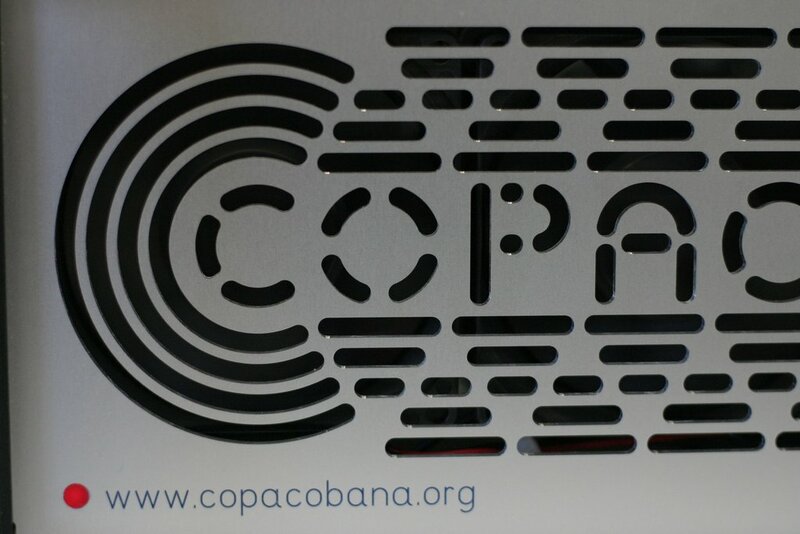 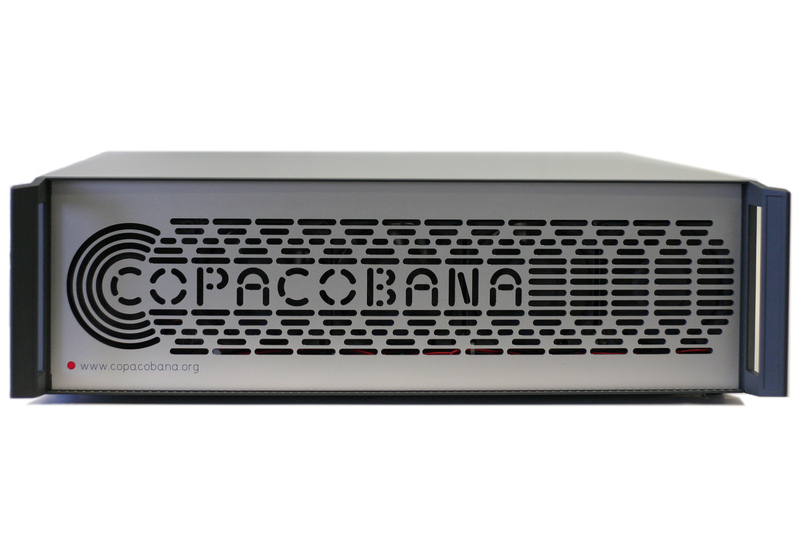 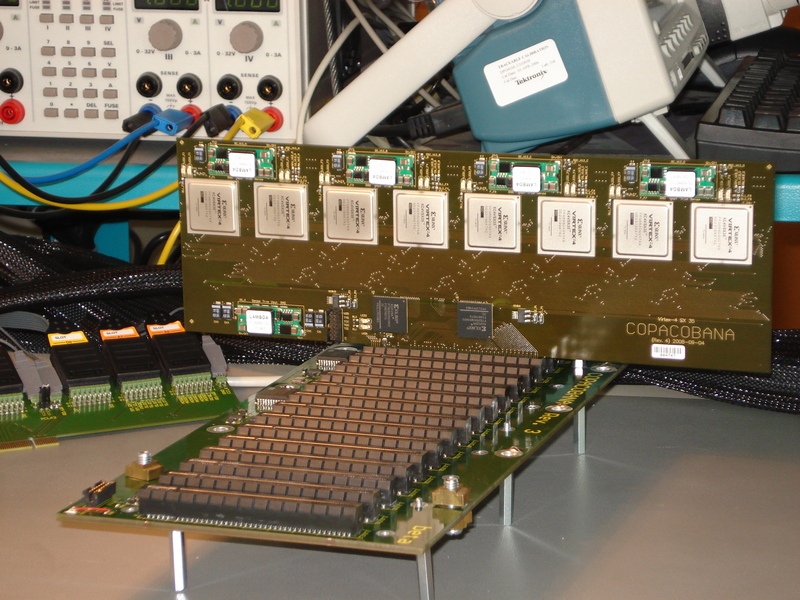 This site shows pictures of the first prototype of COPACOBANA. 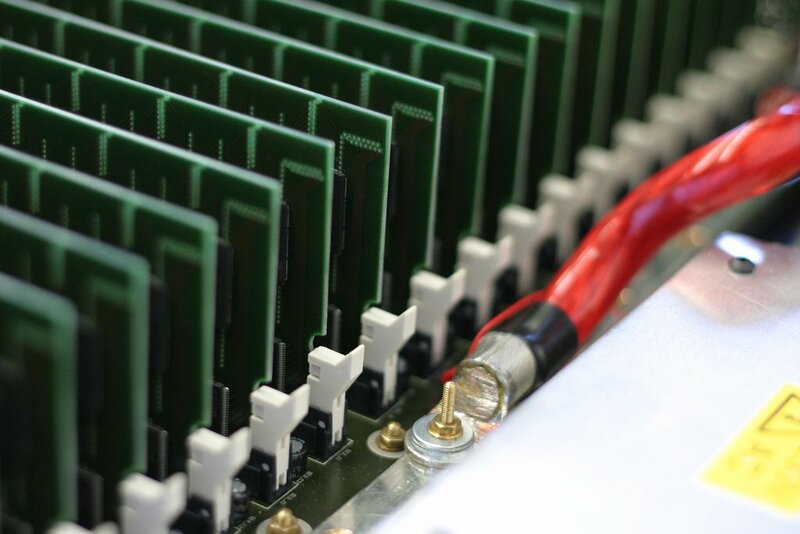 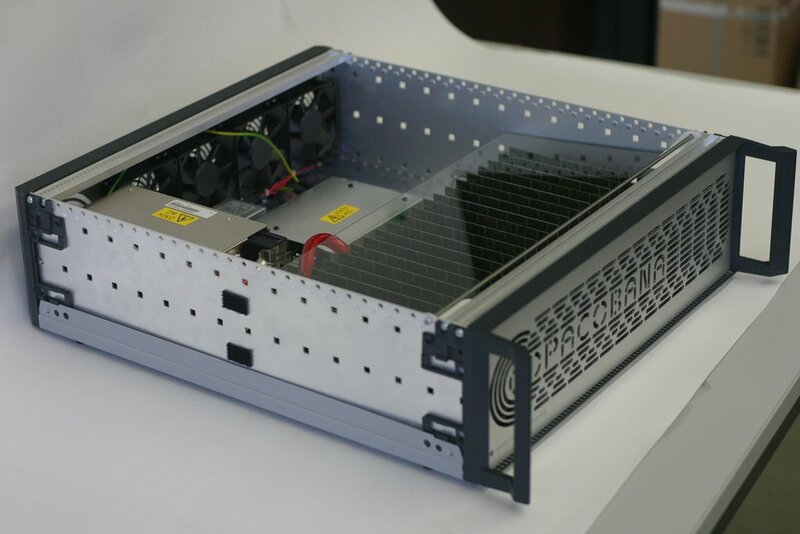 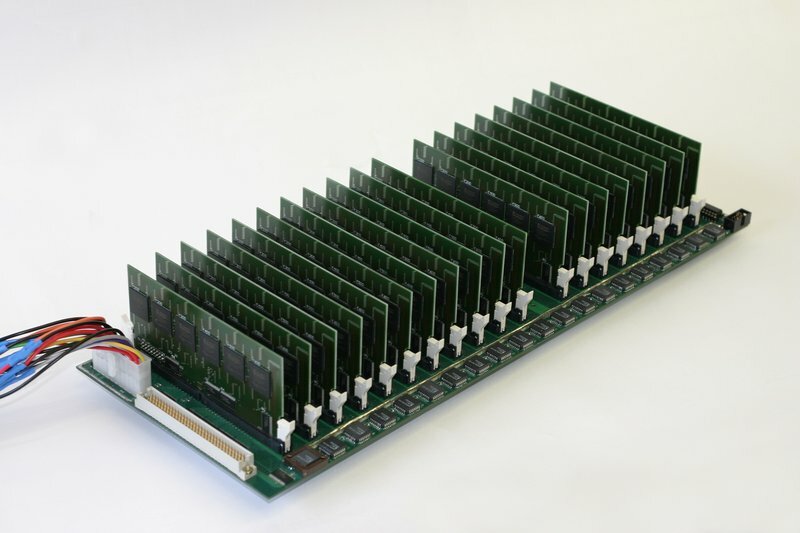 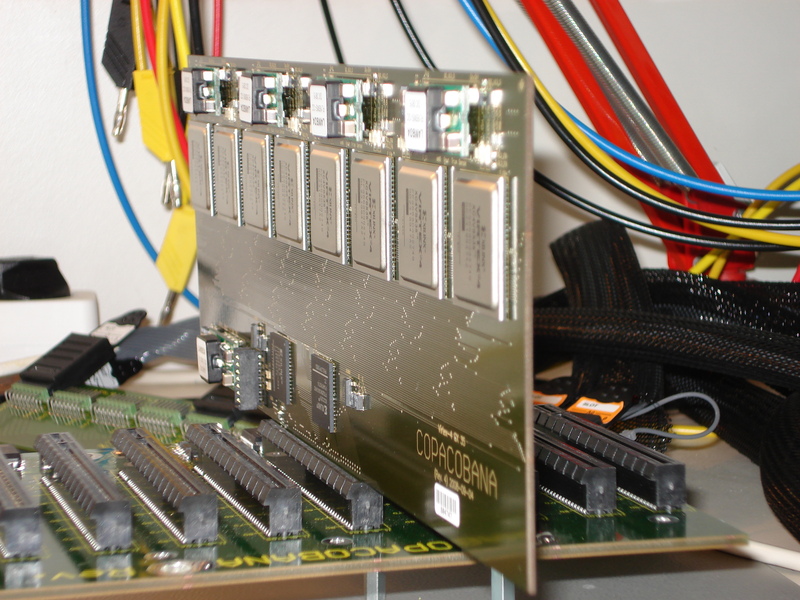 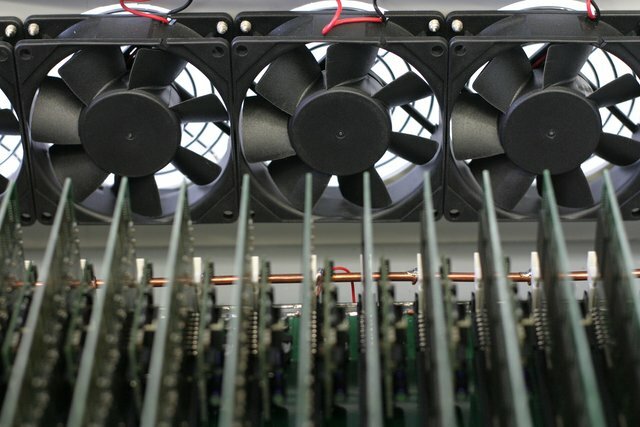 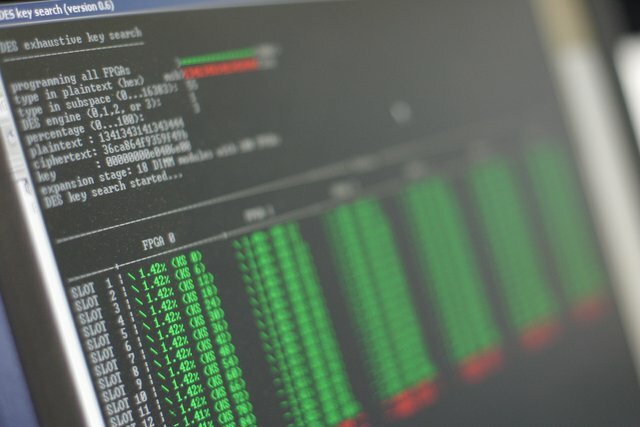 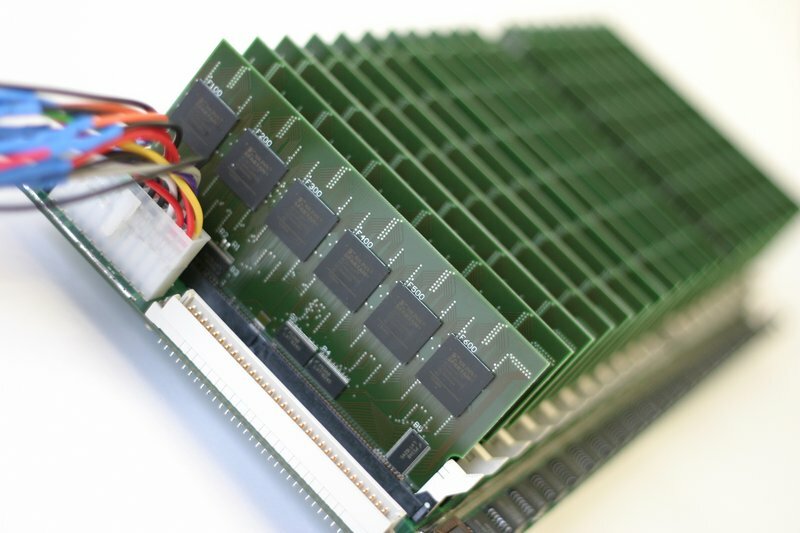 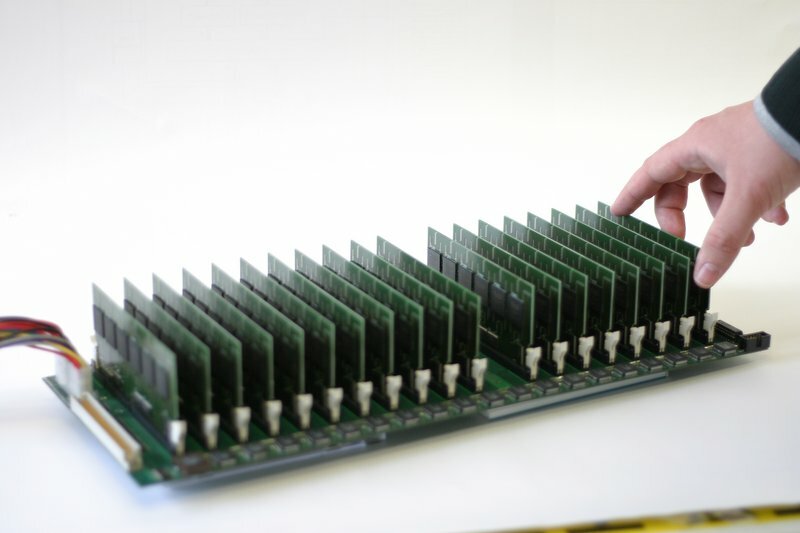 It hosts 120 FPGAs and is powered by a 600W power supply. 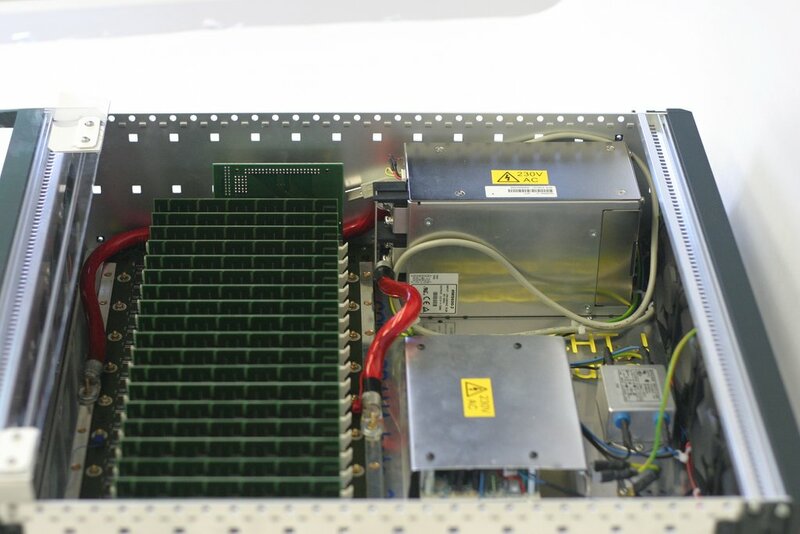 The housing consists of a junction box with nine standard 8cm fans.